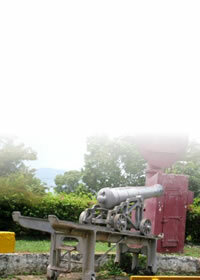 This fort is situated at Port Maria in the parish of St. Mary and was erected in 1759. 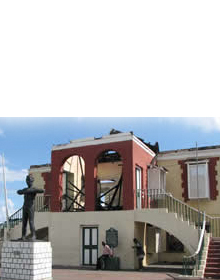 It was named after General George Haldane, then Governor of Jamaica. 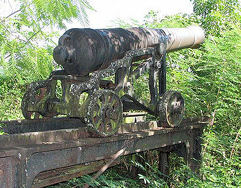 The guns of the fort are strategically positioned on a hill facing seaward, which gives a wide and magnificent view of the old shipping port of Port Maria. 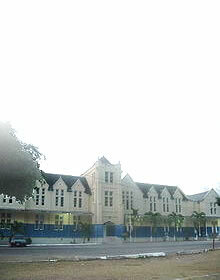 The shipping port was surrounded by sugar estates such as Llanrumney, Trinity, Quebec, Heywood Hall and Frontier.